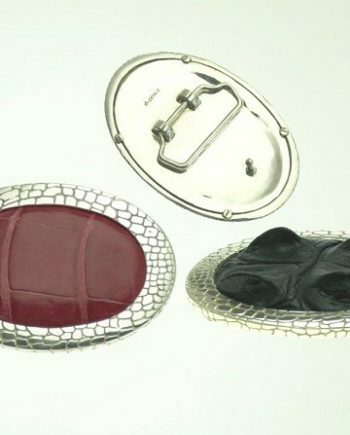 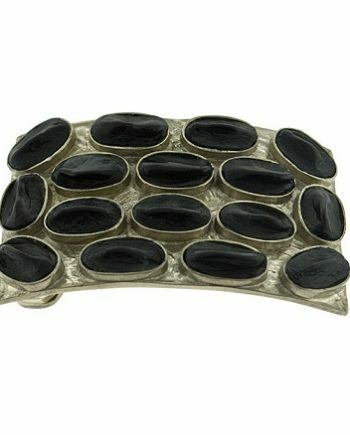 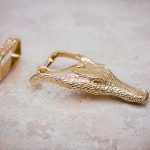 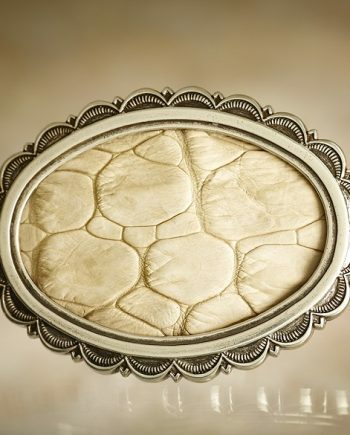 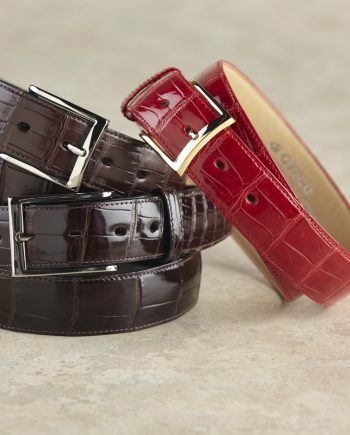 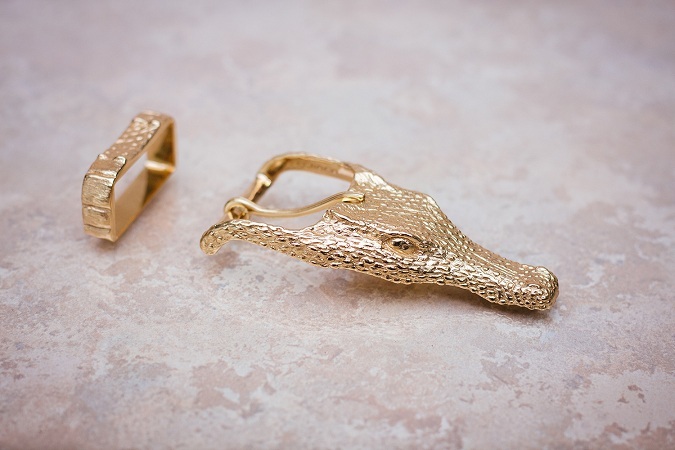 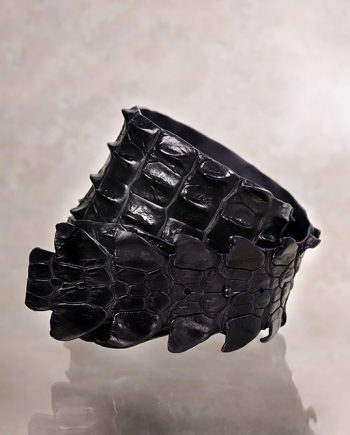 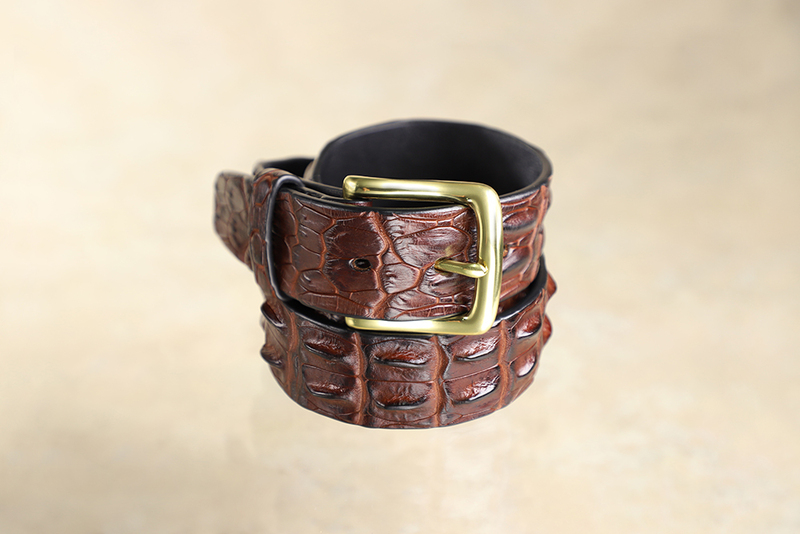 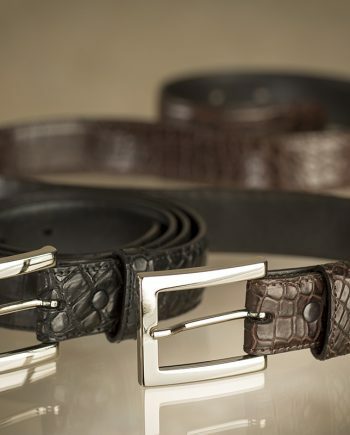 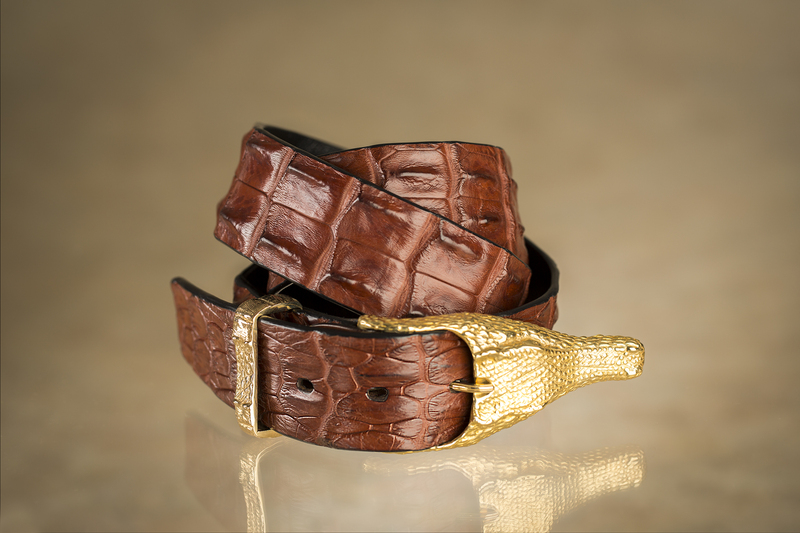 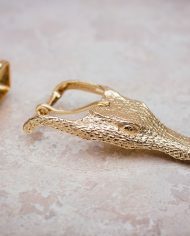 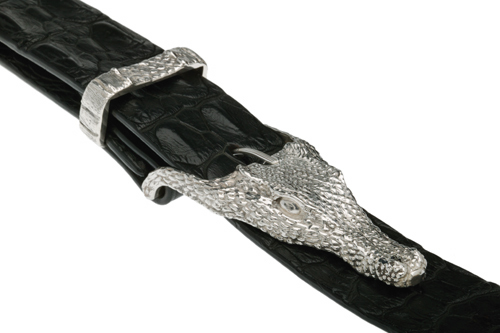 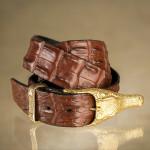 Description: Crocodile Head buckle and keeper set (shown on 10122/38 belt in Savannah Brown), shiny brass. 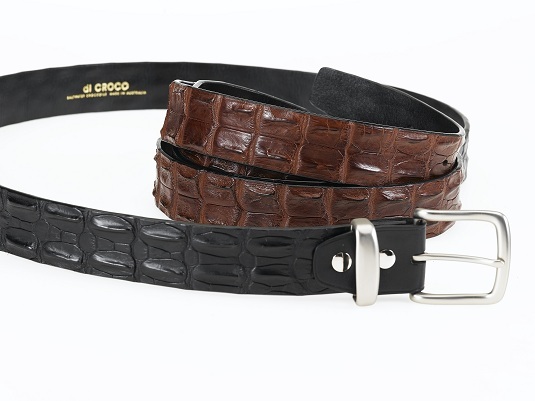 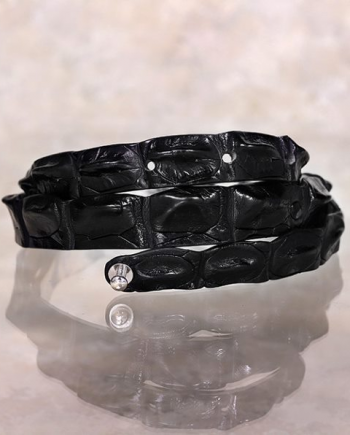 Suitable for 35mm or 38mm wide belts. 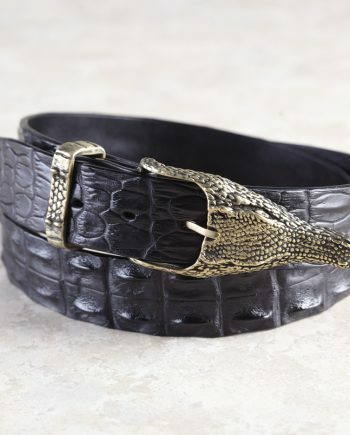 Belt not included.